Be authentic. Not fake, social media authentic but authentic authentic. Are you a small business and struggling with a business issue? Are you a larger brand and you are trying to get your “tribe” to better connect with you? Well let them behind the curtain. Not the fake curtain that you spend hours prepping and getting ready for prior to you pulling it back but the real curtain. Authenticity creates empathy and loyalty from your followers and goes a long way in building a long lasting tribe that will last for the ages. I had the pleasure of interviewing John Huntinghouse. John is the Director of Digital Marketing at Epic Marketing, a multi-million dollar a year full service marketing agency located in Utah. 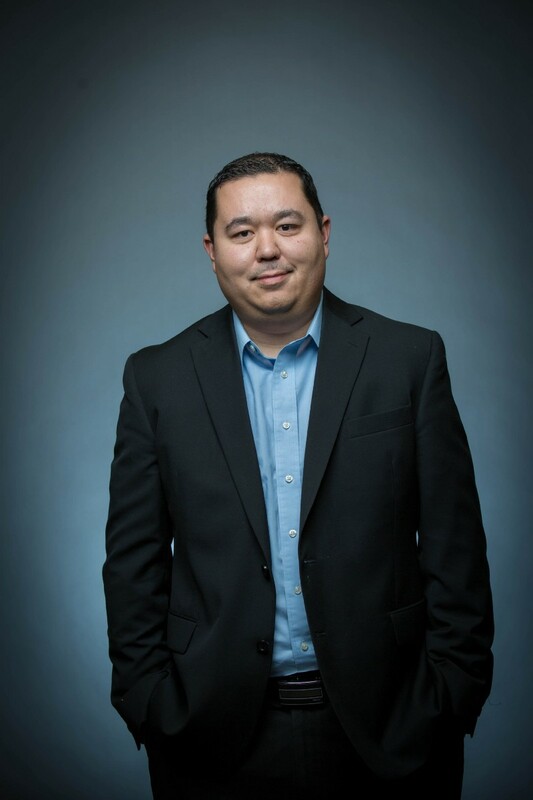 He has his M.B.A. from the University of Utah and has over 10 years of digital marketing experience in social media and digital advertising. He has worked with a variety of national and local brands such as Disney, Amazon and VASA Fitness. He has his own blog that receives over 1 million pageviews a month over 250,000 followers on social media. 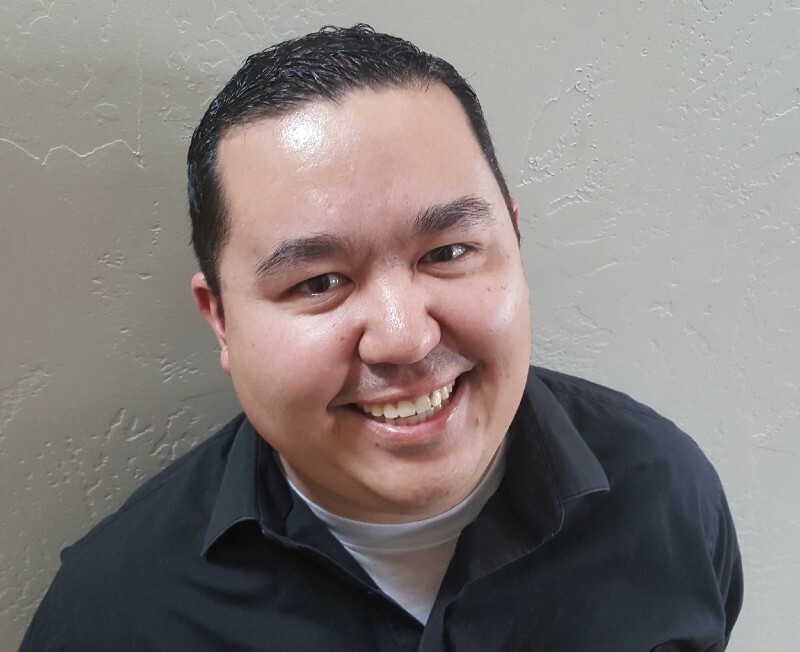 He also has been teaching digital marketing for the past three years at LDS Business College and currently sits on multiple Digital Marketing Advisory Boards. I actually used to be a cardiovascular genetic researcher until I ended up taking an entrepreneurship class at the University of Utah while I was in my MBA program. I heard that he fed the students pizza so I figured that would be a great class for me. It turns out that it was in that class that I found my true passion in life, understanding the creation process. I learned how to create new things (businesses, campaigns, departments, projects) under conditions of high uncertainty. It was here that I finally realized my true passion in life and from here I started my own business and became a full-time blogger and started my journey into digital marketing. You could look at all of the brands that I have worked with over the past 10 years or the millions of dollars I have spent on social media advertising and realize that I might know a thing or two when it comes to Social Media Marketing. Or the fact that I was able to grow organically, from scratch, my own social media following that currently has over 250,000 followers across Facebook, Instagram and Pinterest. Or how I helped the #1 TV station in Utah grow their Instagram account by 750% month over month and again say that I know a little about Social Media Marketing. Or you can look at the over 400 students I have taught social media marketing to and see how they have been able to grow within the industry by utilizing the tools and instructions from the program. You could look at all of these things and think that maybe I know a little something about this space but then again…maybe you don’t. In that case, there probably isn’t much that I could say to change your mind. Probably the most heartwarming story that has happened since I started this career came from a former student of mine. He didn’t know anything about digital marketing or social media when he signed up for my “Introduction to Social Media Marketing” class. He struggled at first because he wasn’t very tech savvy at all (he didn’t even have an email account). Slowly but surely we got him to understand the principles of social media and he got fairly proficient at it. Towards the end of the semester he came up to me and said “I hated computers and hated the idea of social media even more. But this class forced me to get ‘comfortable with being uncomfortable’. I decided to embrace it and do the best I could with it. There will probably not be another more impactful story that happens to me than helping this father gain the confidence to get online and helping him reconnect to his estranged daughter. Probably the funniest mistake I ever made was when I was working for a major local news outlet here in Salt Lake. I was watching an NBA game and I was live tweeting the game like many others on my personal Twitter account. At half-time I switched accounts to make an update of some smaller news that broke on the official twitter account of the television station and then took a break. When I came back to watch the second half, the refs made some horrible calls and I went onto Twitter and started berated the referees like any idiotic fan would do when all of a sudden, one of my friends who was in the room said “dude, you’re ranting from the news’ account, not your account.” I had forgotten to switch back to my personal account. It was incredibly embarrassing and funny in hindsight. Lesson learned, be much more mindful and present with whatever I am doing as it may have unintended consequences into other aspects of my life. Both Facebook and Instagram are the two platforms that I have the most experience in when it comes to driving revenue for a business. One of our clients, a multi-state gym has seen tremendous success utilizing both Facebook and Instagram to drive profitability for their business. By utilizing both of these platforms we have increased their total online ROAS (return on advertising spend) from 2.4x to 10.62x. They are both powerful tools in understanding and shaping awareness for any business and are heavily underutilized by most companies. 1) Utilize remarketing audiences and actually advertise with Instagram. I know that nobody wants to hear about paying for ads on Instagram and people are trying to find different hacks organically to grow but most companies leave so much on the table by not actually advertising on the platform. When you advertise, you can specifically target individuals based on how they have already interacted with your business and by location, both of which you can’t do if you just post organically. For one of our clients who is a multi-state gym, we retargeted individuals who had already been to the website in the last 30 days who were not already members at the gym. By utilizing this audience, we were able to deliver an 18x ROAS for them during Black Friday and Cyber Monday, smashing their previous records they had in previous years. Yes, you can get sales by organically posting on your Instagram account but nothing compares with the amount of sales you will deliver by spending a few dollars on marketing on Instagram. 2) Create a real paradigm shift: If you want to grow your following on Instagram for your business, you need to stick out. Do you do photography? Do you post amazing photos on your account with very little engagement and followers? Well join the club. Just posting amazing photos onto Instagram alone will not cut it. The reason is because as amazing as your photos may be, there are a bazillion other talented photographers are also sharing their amazing photos on Instagram as well. Photographer Seth Casteel stood out and really made a name for himself by capturing photos of dogs catching jumping into the water catching different objects. He created a paradigm shift by photographing dogs in a new way that hadn’t been photographed before. Is he the most talented photographer in the world? Of course not but he now has over 118k followers on Instagram and has created a cult following simply by taking something old (photographs of dogs) and presenting them in a new light. 3) Give them a reason to come to your Instagram account daily and be consistent about it. @cupbop is a Korean food truck who posts on a daily basis exactly where their trucks are going to be every day. Their customers have developed a habit of going to Instagram specifically to check out where they will be and as your brand grows, the effect of this habit will be magnified. At first when Cupbop started doing this on their Instagram account, it didn’t drive the needle for new sales or for engagement. 4) Leverage authentic influencers and brands to help fuel your growth. You need to partner up with influencers who will evangelize your brand with their followers..
@shonduras has created a media empire online and fully immerses himself with the brands he chooses to work with. He fully engages the brand and their story into his and does it so well, if he didn’t say that it was a sponsored post, you wouldn’t know that it was. By fully immersing himself with the brand, his followers can see how he would actually use the brands in his daily routine and how they could do likewise. 5) Utilize engagement pods. Engagement pods are groups of brands/individuals who come together who decide that they will interact and help promote each other’s efforts when it comes to their Instagram efforts. This was the tactic that we utilized to help grow our @ldsmsile Instagram account from 200 followers, to over 7,000 followers 8 weeks later. 6) Be authentic. Not fake, social media authentic but authentic authentic. Are you a small business and struggling with a business issue? Are you a larger brand and you are trying to get your “tribe” to better connect with you? Well let them behind the curtain. Not the fake curtain that you spend hours prepping and getting ready for prior to you pulling it back but the real curtain. Michael Stelzner from Social Media Examiner does this incredibly well and one of their most watched video ever was when he let the viewers in on a real struggle they were having with their shows. Authenticity creates empathy and loyalty from your followers and goes a long way in building a long lasting tribe that will last for the ages. If I could inspire a movement, it would be a movement to help individuals to see themselves as they truly are. It would help individuals to see their intrinsic self-worth without any qualifiers. You are of worth…period. No additional follow ups, no additional commentary but simply a matter of fact. Not only would it allow for better self-reflection and self-improvement, you would be able to see yourself as you truly are, an individual with intrinsic value regardless of what you did. You then would be in a better position to see areas where you could improve and grow to improve both your life and those around you without falling into the despair of self-pity.